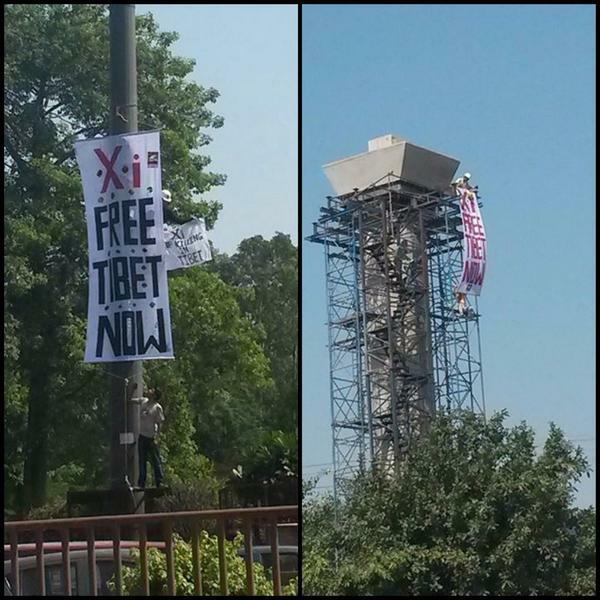 (TibetanReview.net, Sep18, 2014) – Scores of pro-Tibet activists staged a demonstration outside the Chinese embassy in New Delhi on Sep 17 ahead of Chinese President Xi Jinping’s arrival in India for a three-day visit while Tibetans residing or studying in Gujarat state’s Ahmedabad city, where he was to land, were taken into preventive police detention, reported indiatoday.intoday.in and ahmedabadmirror.com Sep 17. Police stopped the protesters from entering the embassy and arrested all 10 of them, reported the PTI news agency Sep 17. The police action in Ahmedabad took place in the context of Indian Prime Minister Mr Narendra Modi breaking protocol and traveling to the city to personally receive Xi as a special gesture. 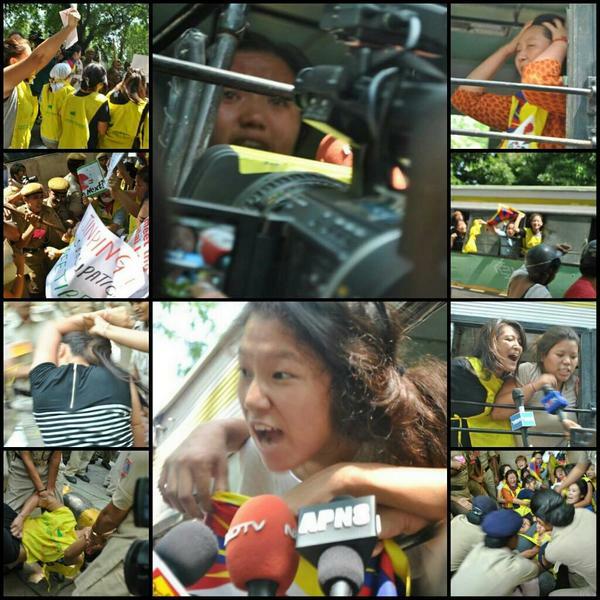 The ahmedabadmirror.com report cited the Tibetan Youth Congress (TYC), Gujarat Chapter, as saying the police not only ignored their request to hold peaceful protests but also rounded up students of Tibetan origin at the MSU hostel. 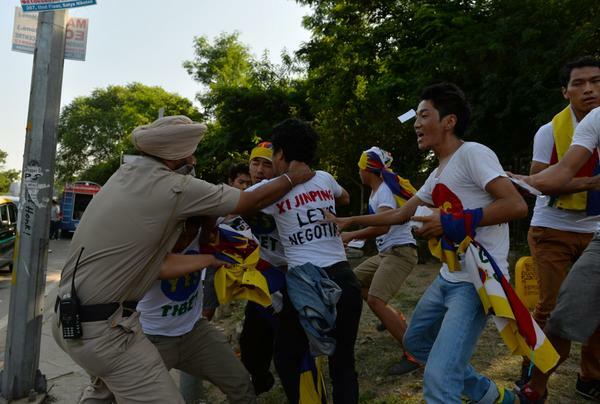 The Tibetans have said the police had treated them like animals while doing so. All the students were reported to have been taken to the police headquarters at Pratapnagar. 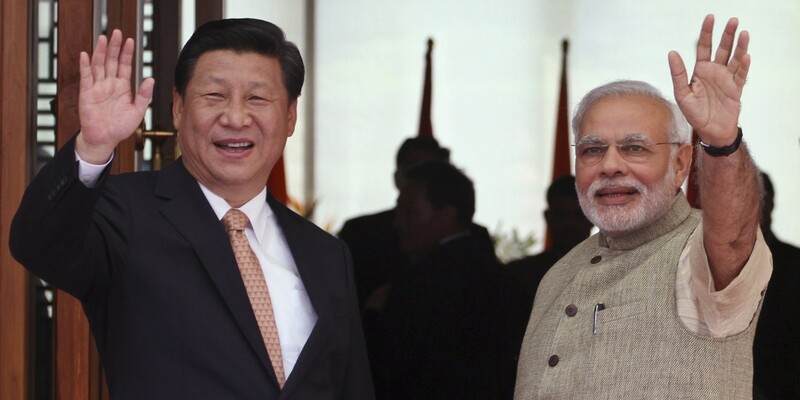 Also, Gujarat police had ordered the management of the hotel where Xi was going to stay to ask its staff belonging to north-eastern states and Tibet to stay away on Sep 17, said another ahmedabadmirror.com report Sep 17. “In order to avoid any conflict the police have asked the north-eastern and Tibetan staff at Hyatt hotel and AlphaOne Mall to stay away from the main venue where the function will take place,” the report quoted a police source as saying.